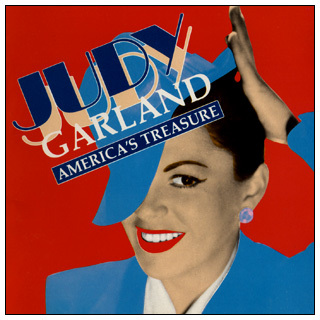 Released in 1986, this was the VERY FIRST Judy Garland CD. Sadly, it's one of those ambiguous releases from Judy's ex-husband Sid Luft. The selections are meant to sound like some long, lost Garland concert. In actuality, they're the studio recordings Judy made in 1960 that were released by Capitol on "Judy In London" and "The London Sessions". The applause and dialog are from The Judy Garland Show! This CD is still available, having been re-released by DCC Compact Classics in 1990, "Garland Records" in 1995, and by Morado Music in 2003.
we have included the real recording dates of each track.